Click “Background”, and click “+” on the timeline to enter the background images library. Choose an appropriate image from the classification of Simple/ Landscape/Person /Video/ Line/ Others. 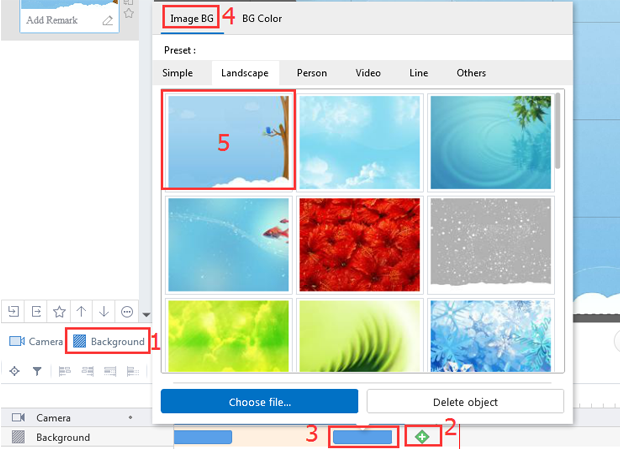 2) Customize the background image. Click “Background”, and click “+” on the timeline to enter the background images library. 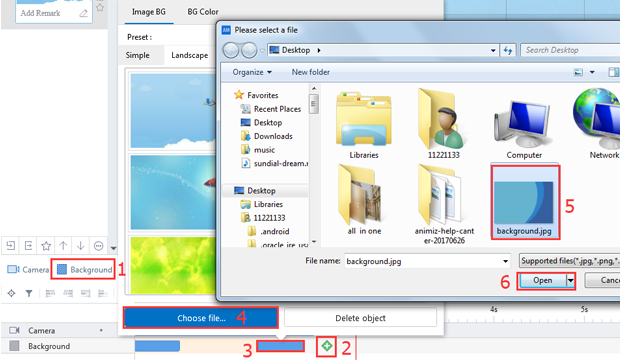 Click “Choose file” to open a local file and select one image to be the background image. Click “Background”, and click “+” on the timeline to enter the background library. Choose one background color and click “Apply”. Previous：How to add camera ? 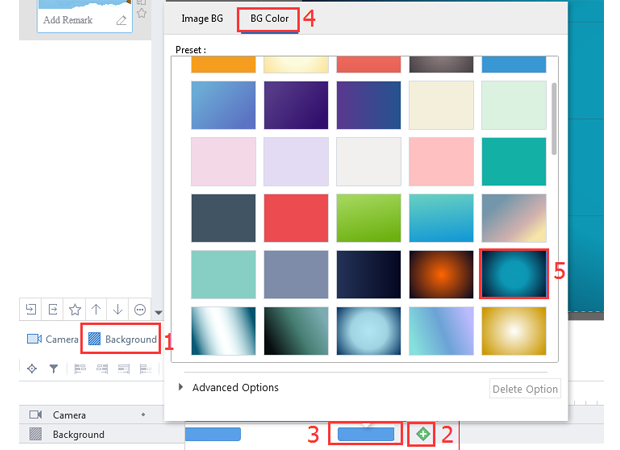 Next：How to customize scene background color ?